When whipping or chugging for walleye, anglers use stout,short rods to catch fish. 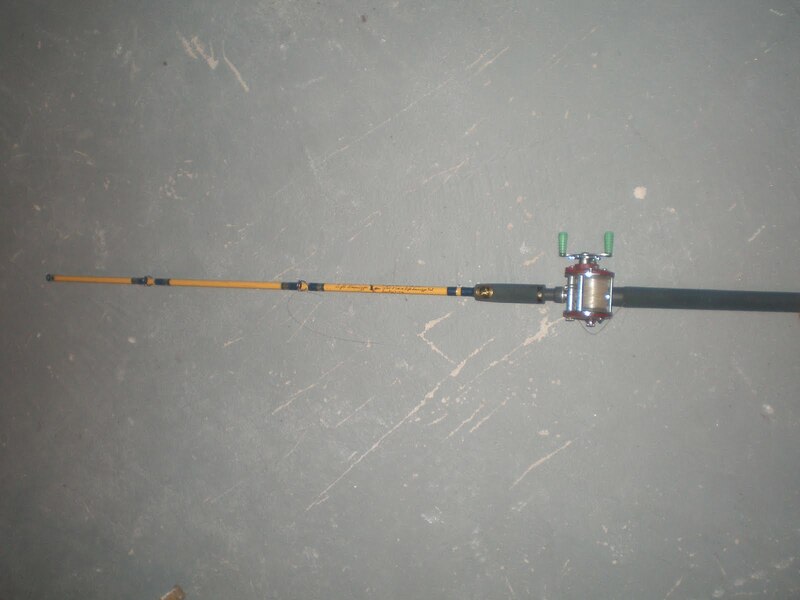 The rods don't have to be anything special but most bait-shops charge upwards of thirty bucks for a rod. That doesn't sound like much but why pay that kind of cash when you can make your own for next to nothing? Most St. Clair river veterans make their whipping or chugging rods out of old poles they have retired. All you need is a heavy duty pole and you are in business. If you don't have any spare poles, go to a garage sale with fishing poles and pick out the thickest one they have. 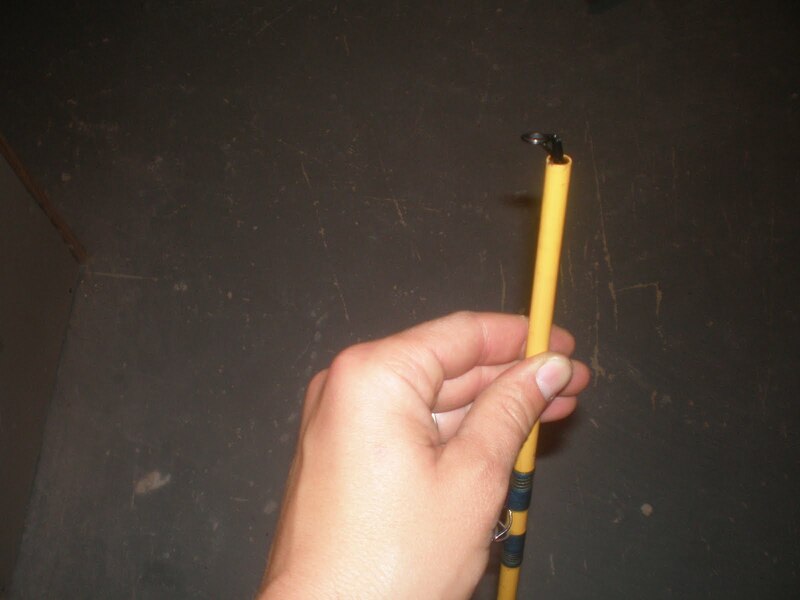 Once you have secured a rod, go out and buy a rod tip repair kit from any local bait shop. I picked up mine for a couple bucks at Bass Pro and now have extras for use down the road. Once you have these two items, you are ready to begin. 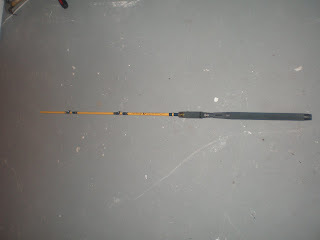 A rod my dad found on the side of the road- it was a two piece but I am only using the bottom section. 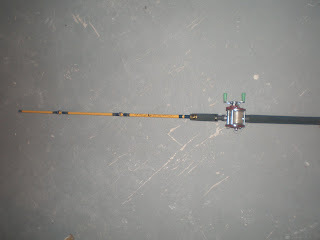 If you want your rod shorter, cut off the rod where you want it and follow the rest of the steps. Use a lighter to heat the cement stick. Hold the heat on the stick for 3-4 seconds until it melts. Apply the cement to the rod. 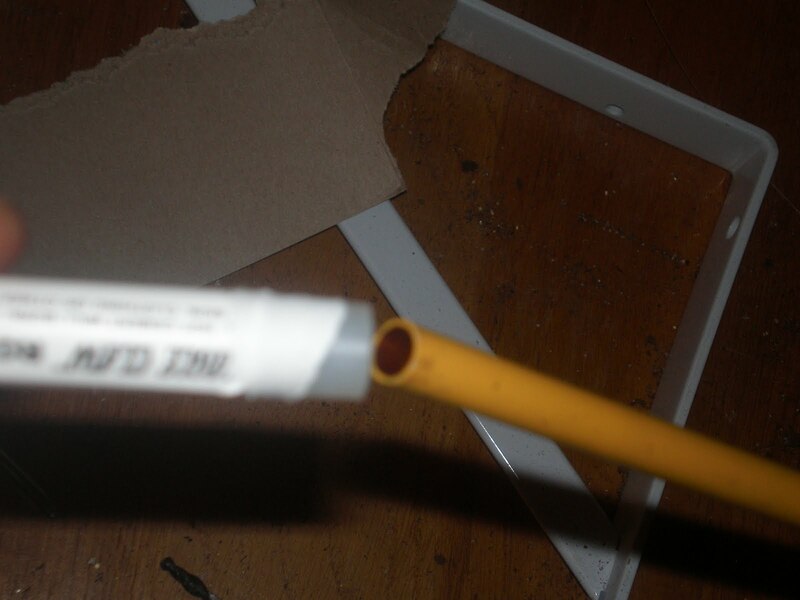 I filled the hole in with quite a bit of glue to make sure the tip was solid. 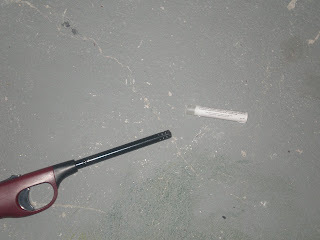 Let the tip sit in the cement for a couple minutes until it becomes solid. Finished product... ready to haul in some walleye.